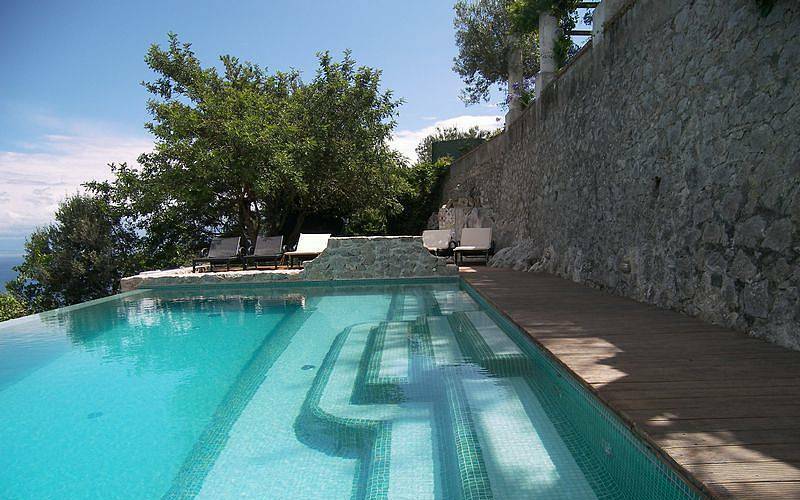 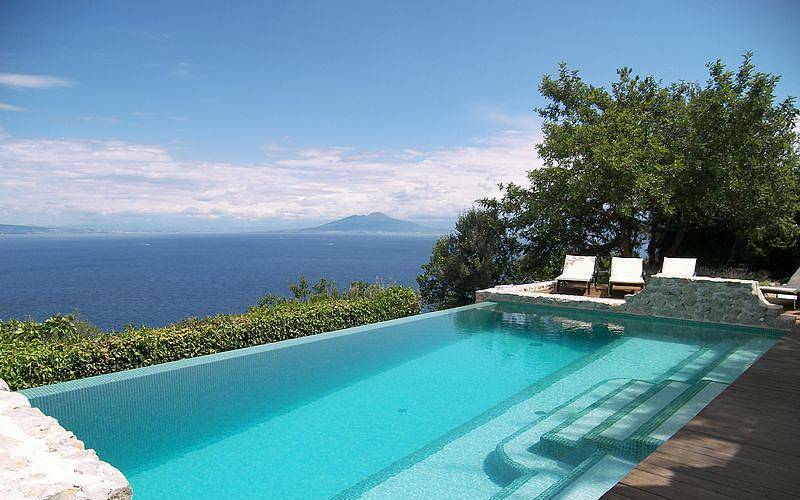 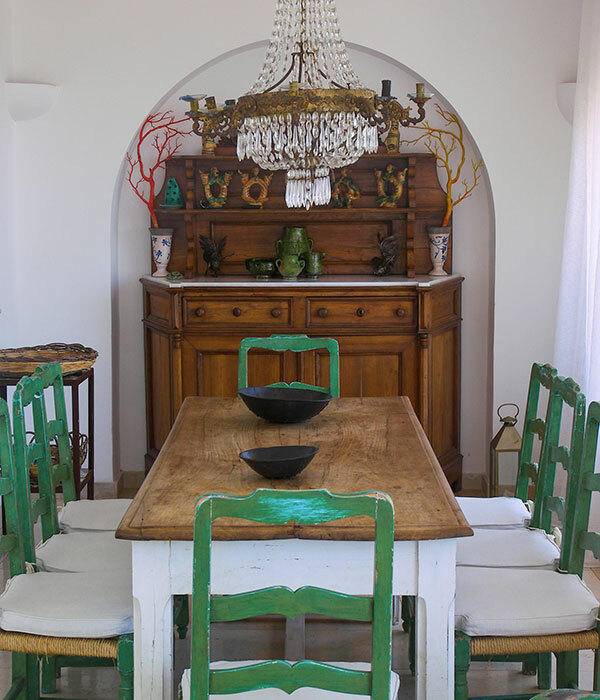 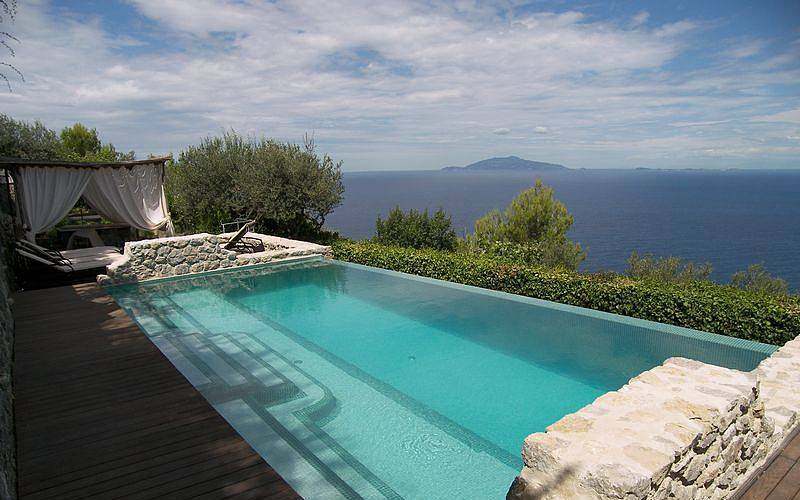 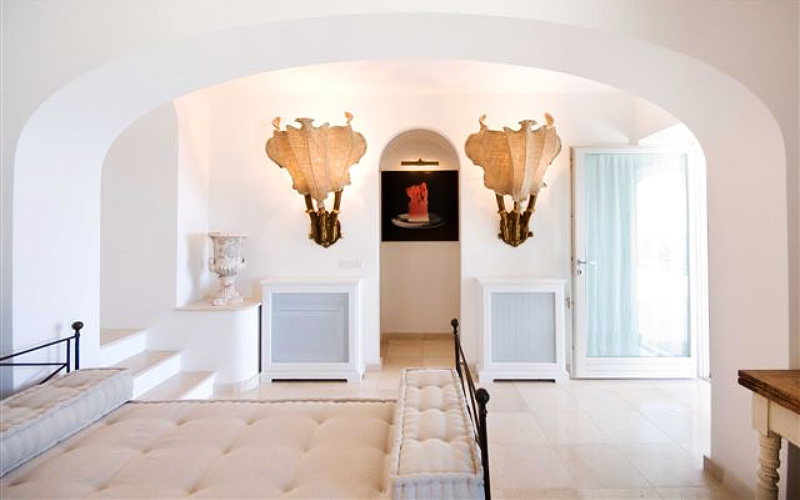 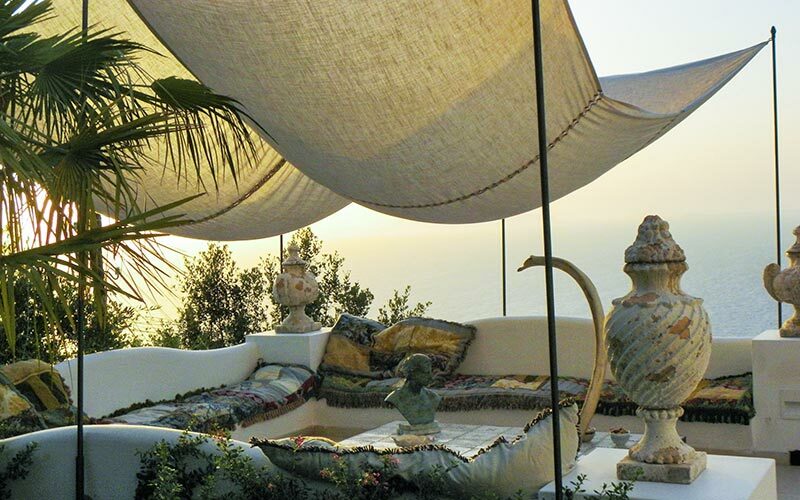 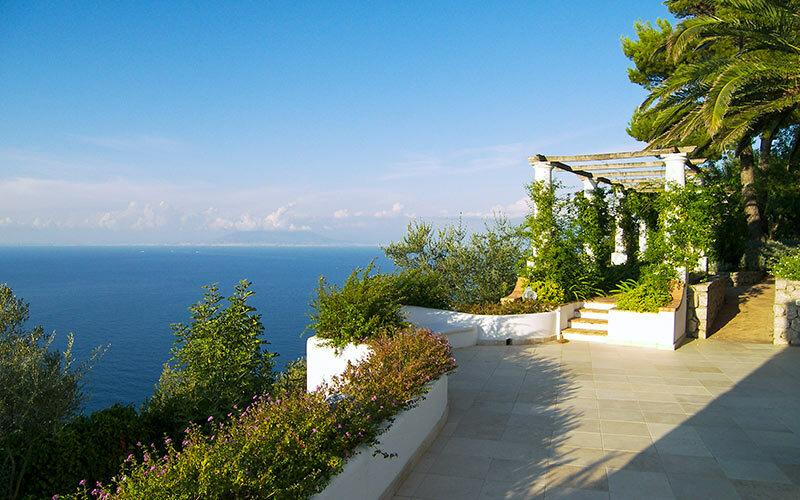 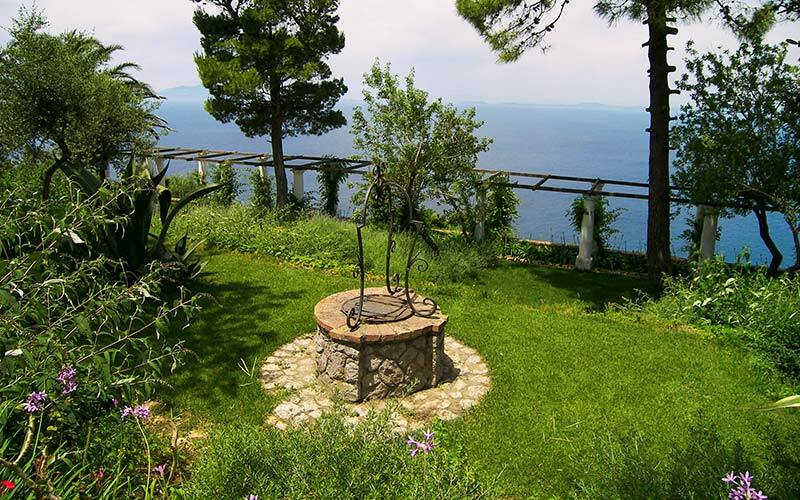 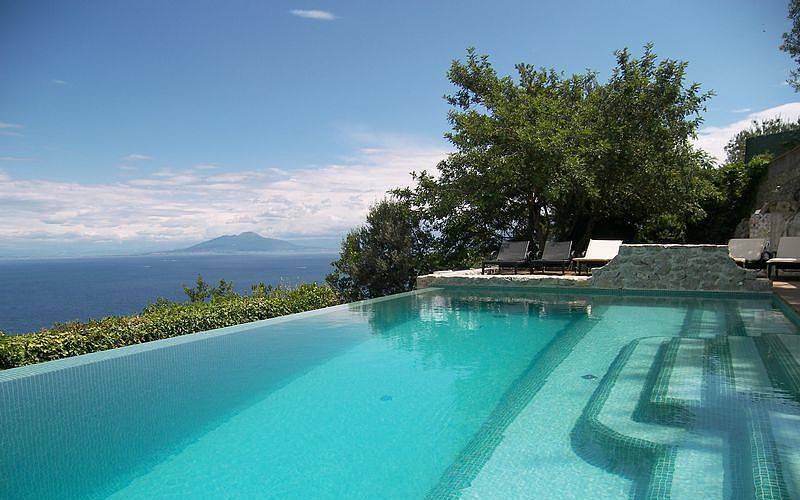 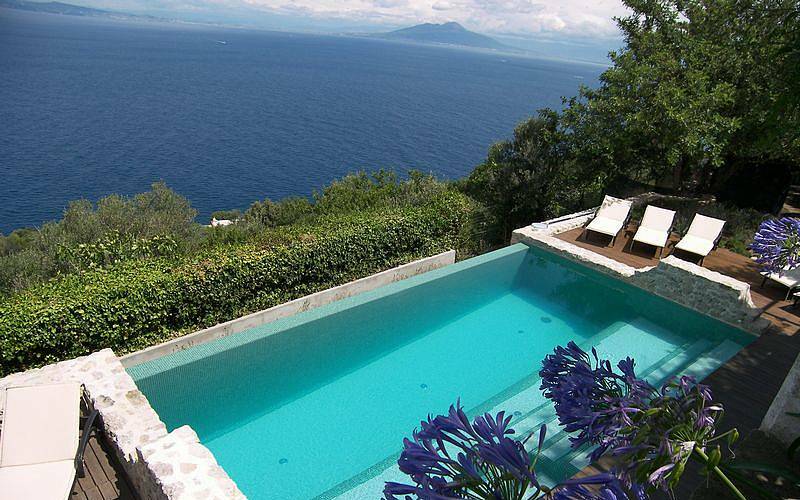 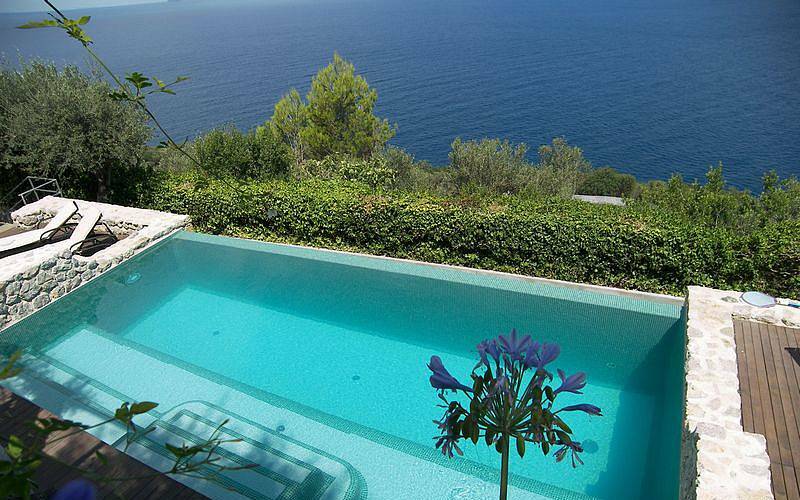 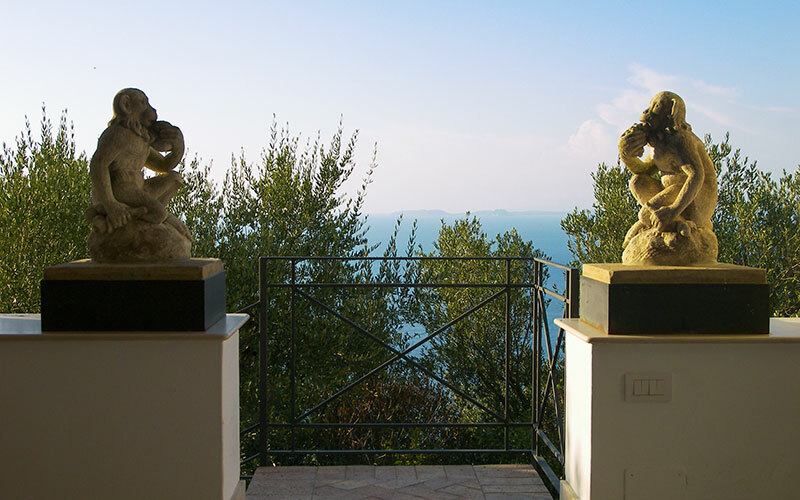 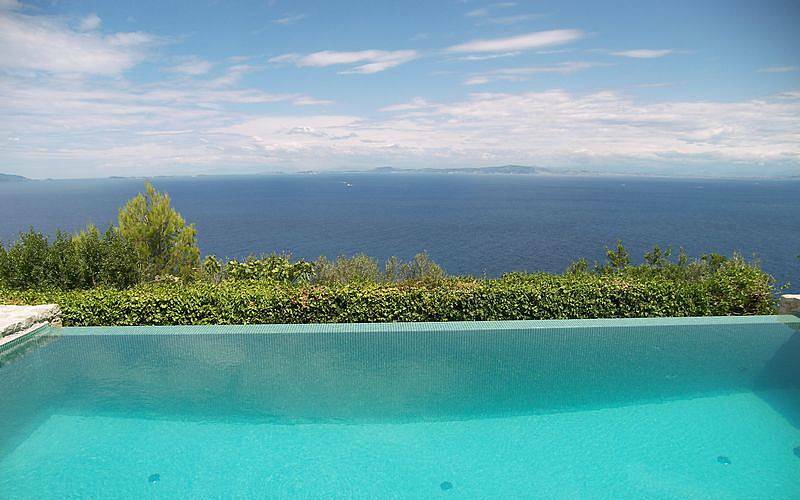 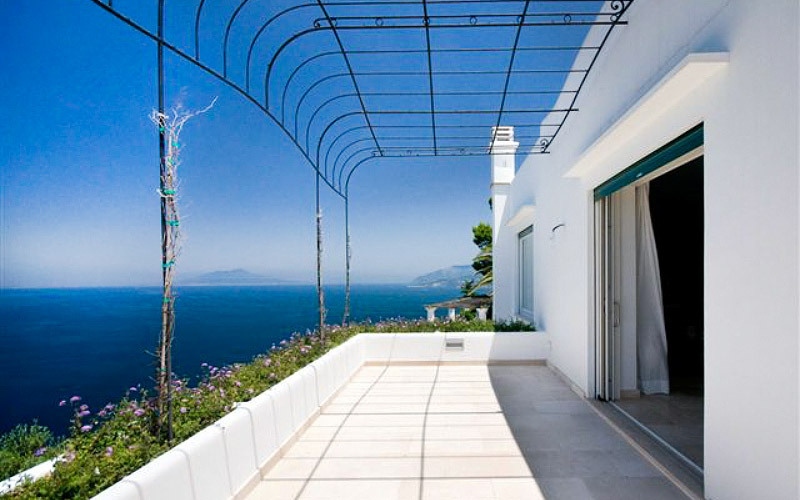 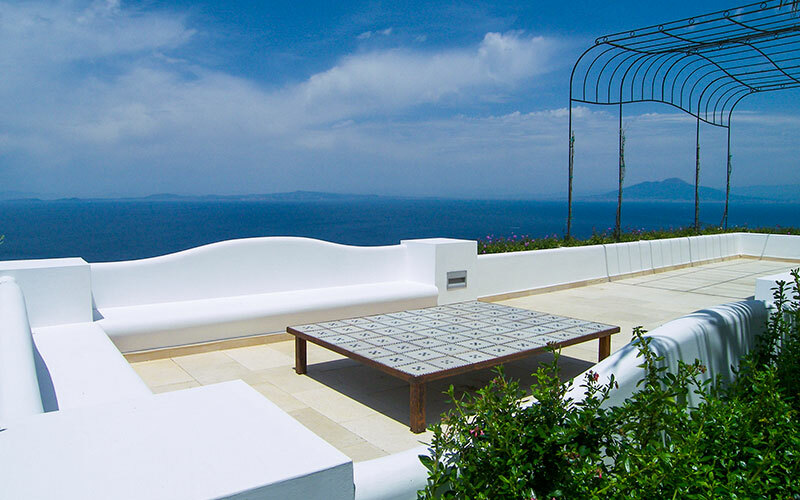 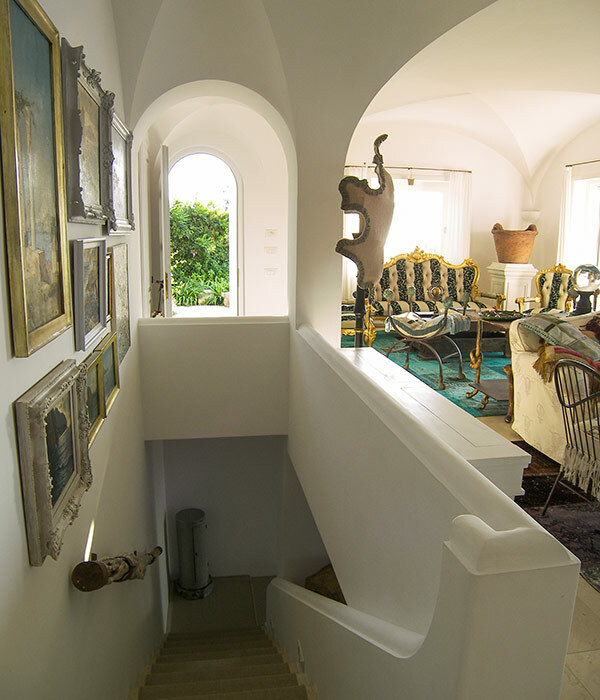 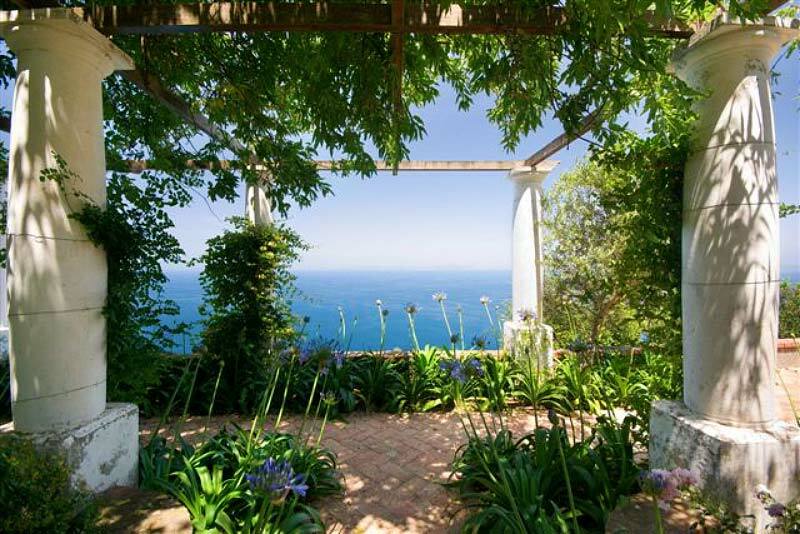 A much-loved island home, filled with the fragrance of Capri's flowers and surrounded by the colors of the shimmering Mediterranean sea: Villa Venere is one of the most beautiful and panoramic properties in the whole of Anacapri. 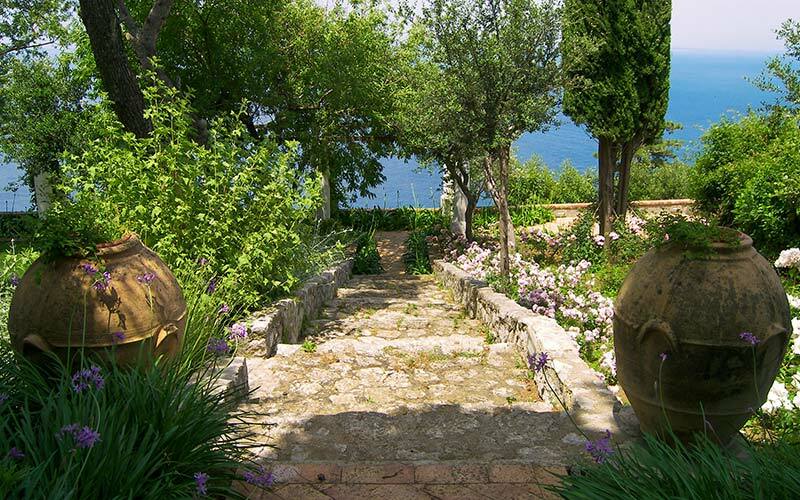 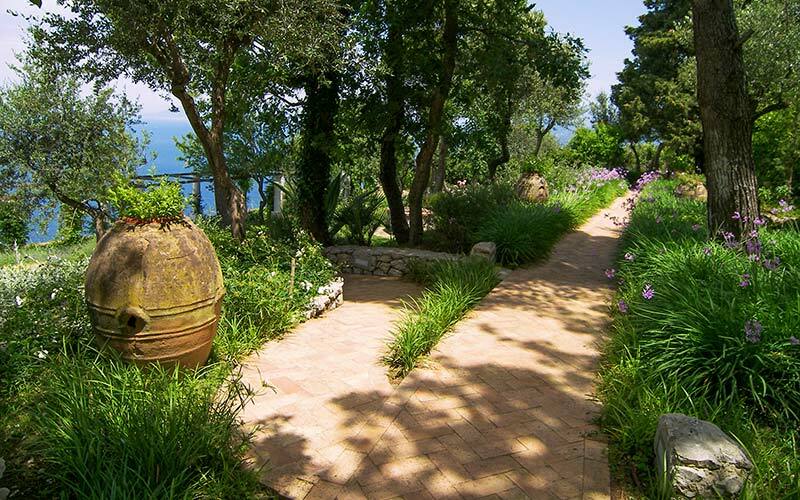 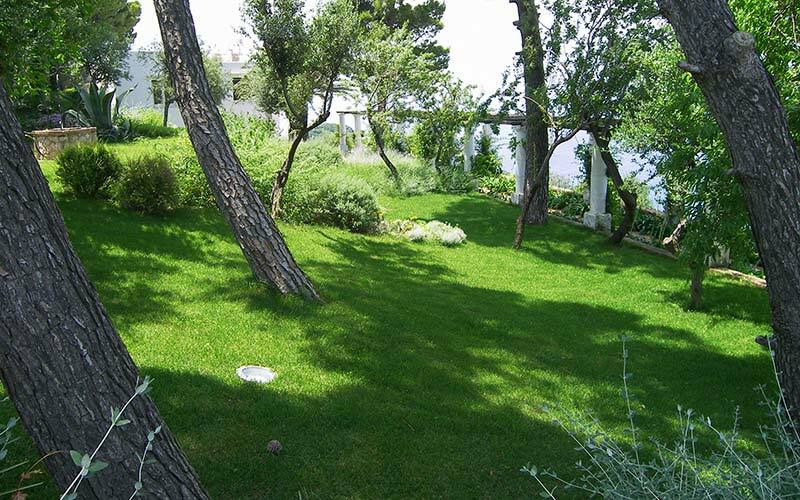 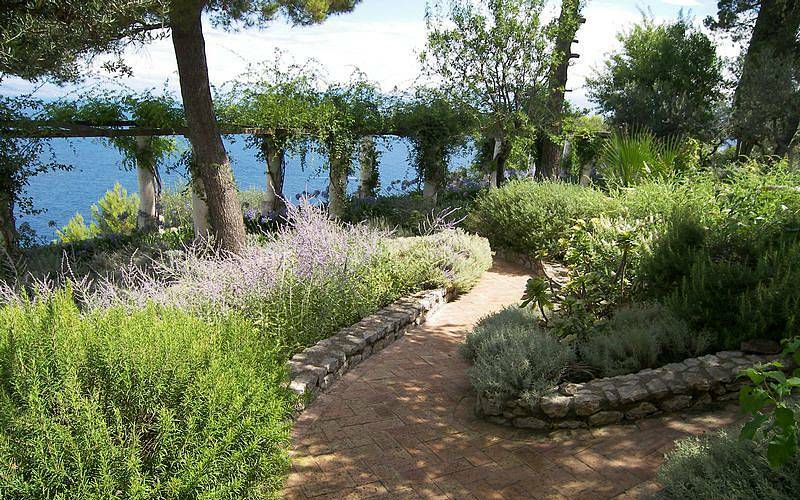 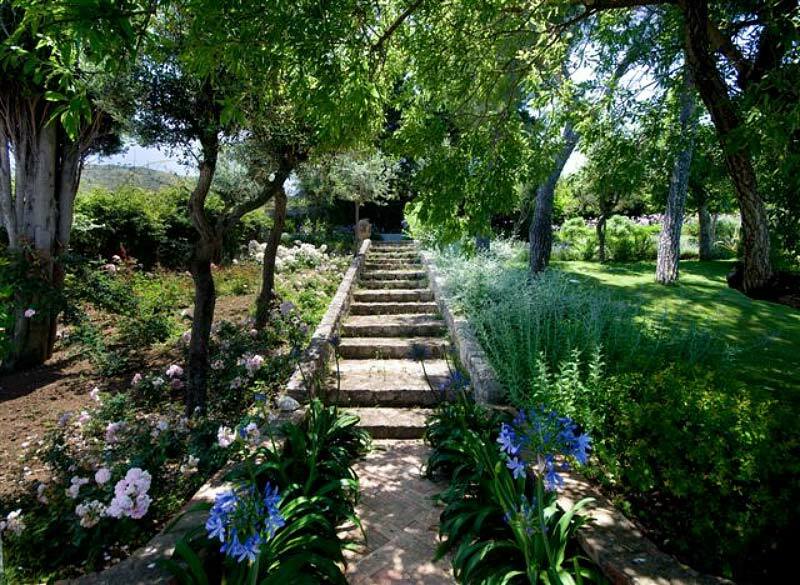 Pretty stone pathways, cute little benches, huge ornamental vases and, above all, a fabulous colonnaded terrace with characteristic pergola: Villa Venere's peaceful garden has Capri written all over it! 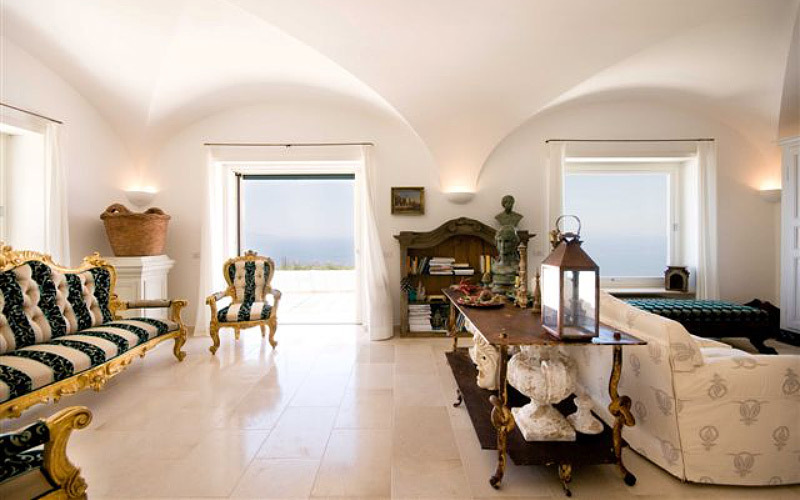 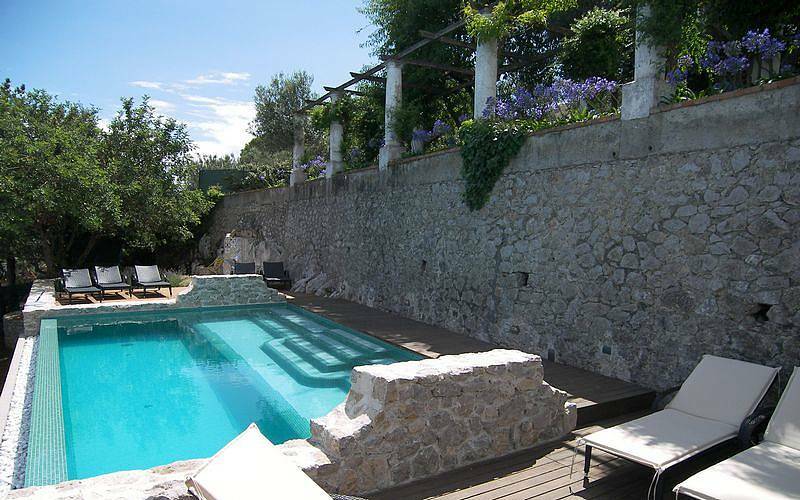 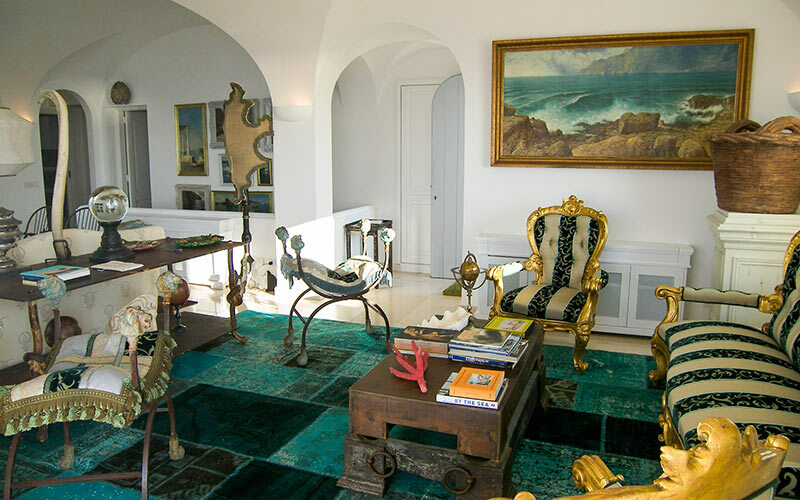 Beautiful inside and out, Villa Venere is built in typical Mediterranean fashion, with bright, high ceilinged rooms furnished with comfy divans and antiques, massive sea view windows, and any number of sun-kissed terraces - designed to function as charming outdoor living and dining spaces. 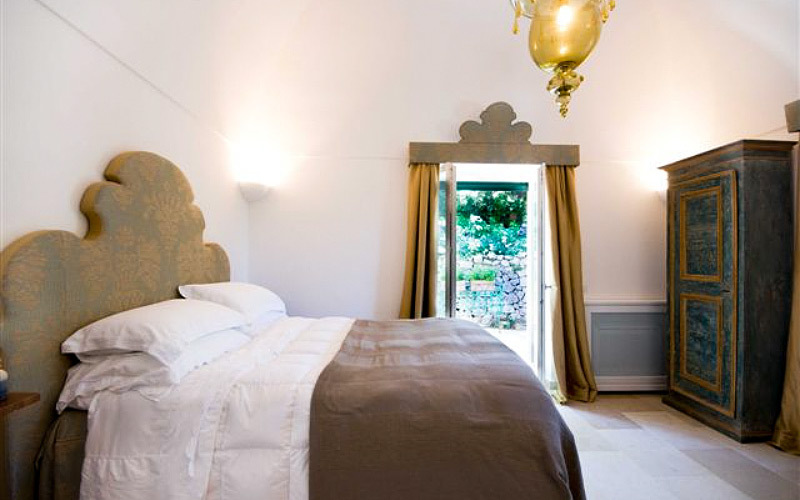 Elegant guest accommodation is provided in 5 bedrooms, all air conditioned and with their own private bathroom (4 bathrooms are ensuite). 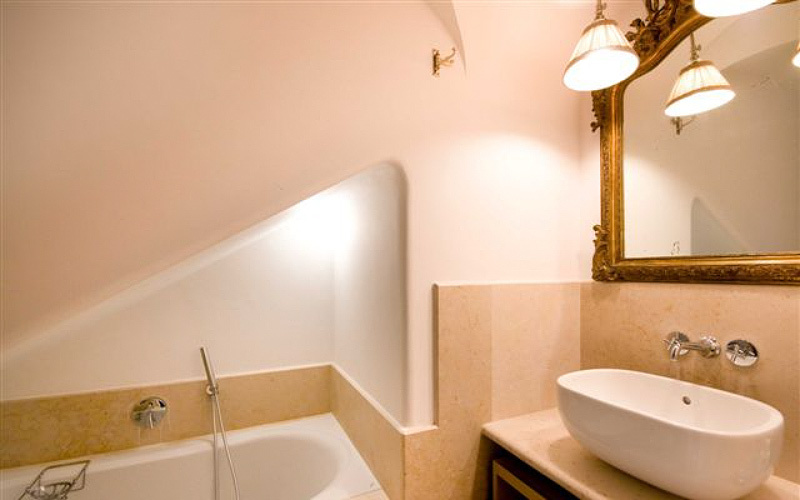 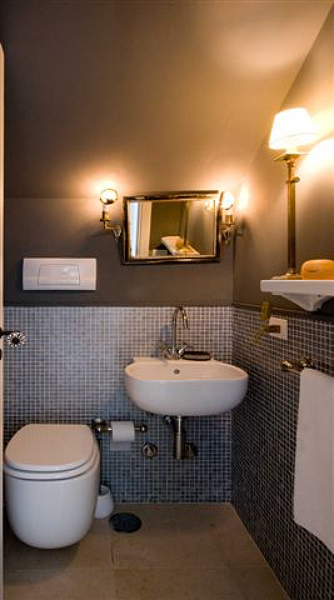 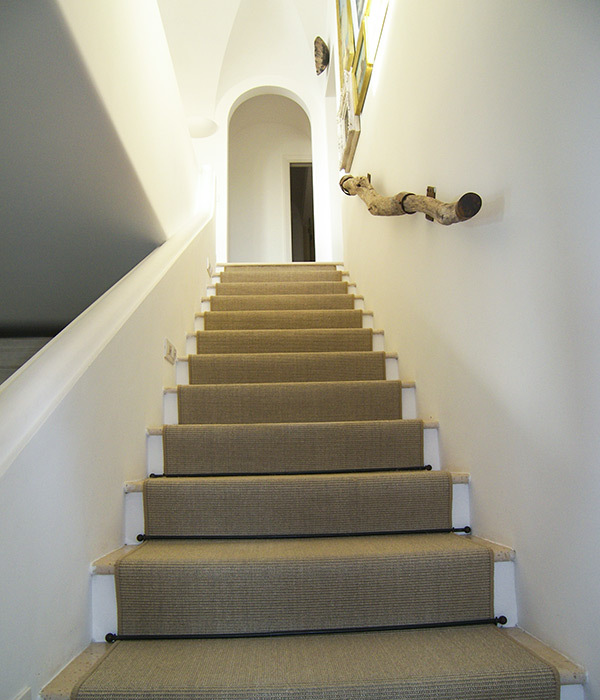 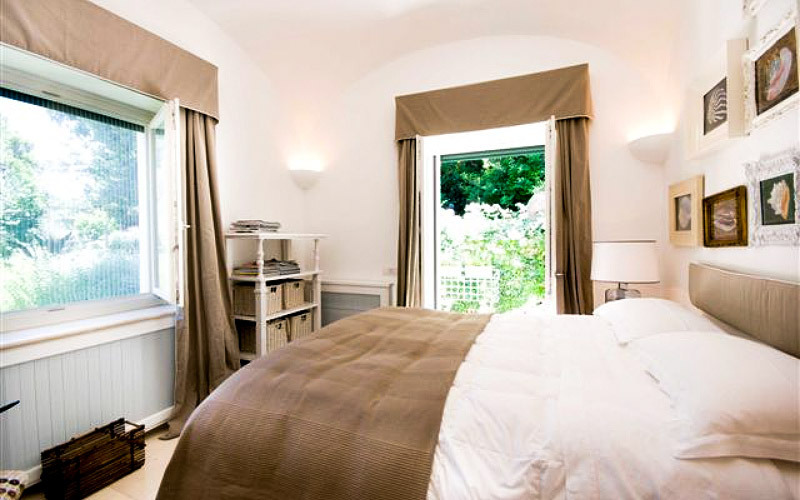 Two double rooms, one single room and a study with pc and Wi-Fi are located on the ground floor. 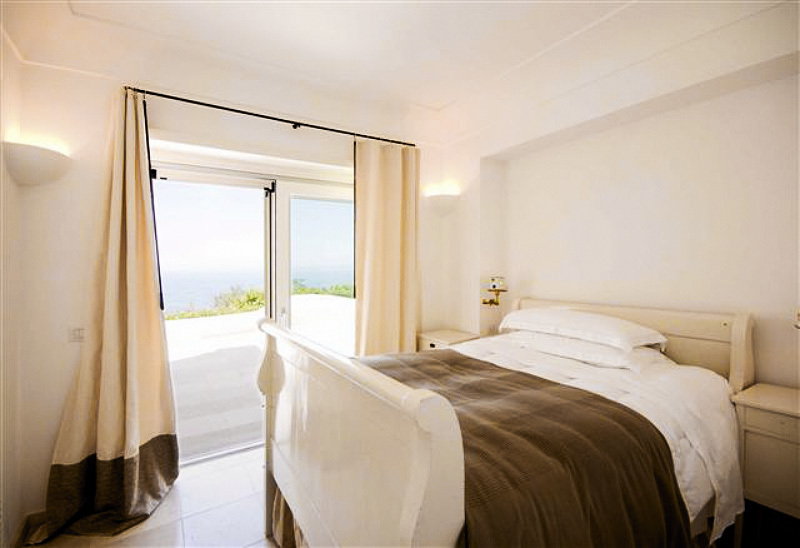 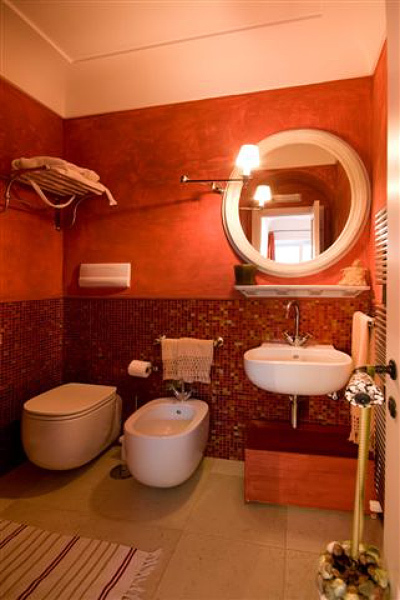 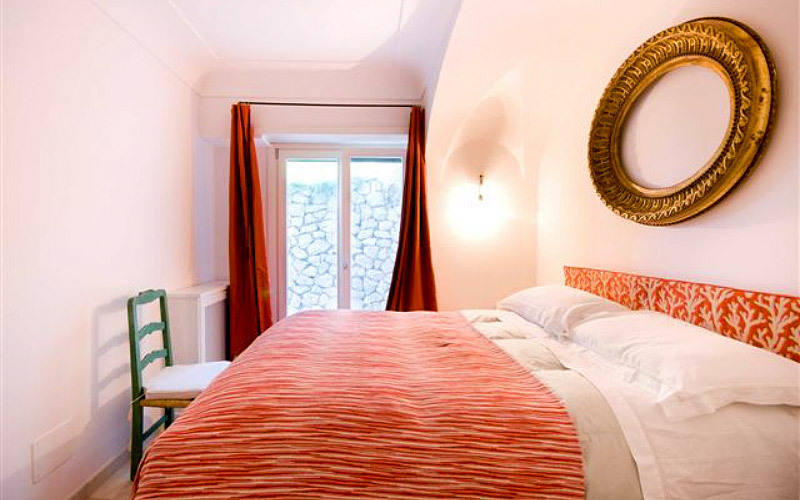 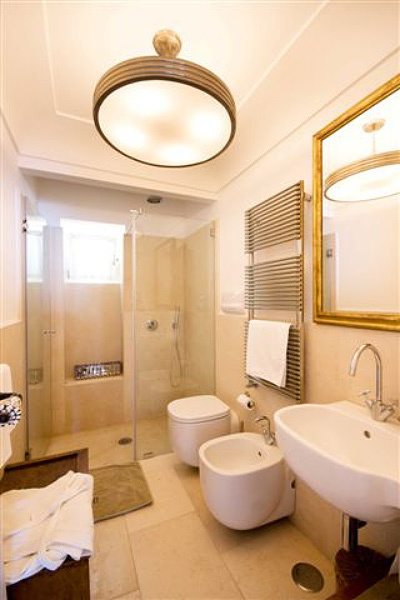 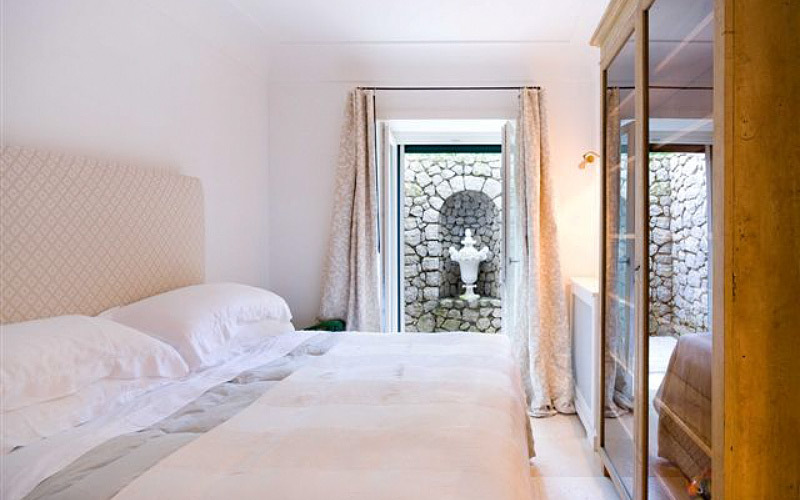 The master bedroom and another double bedroom are situated on the first floor of the villa. 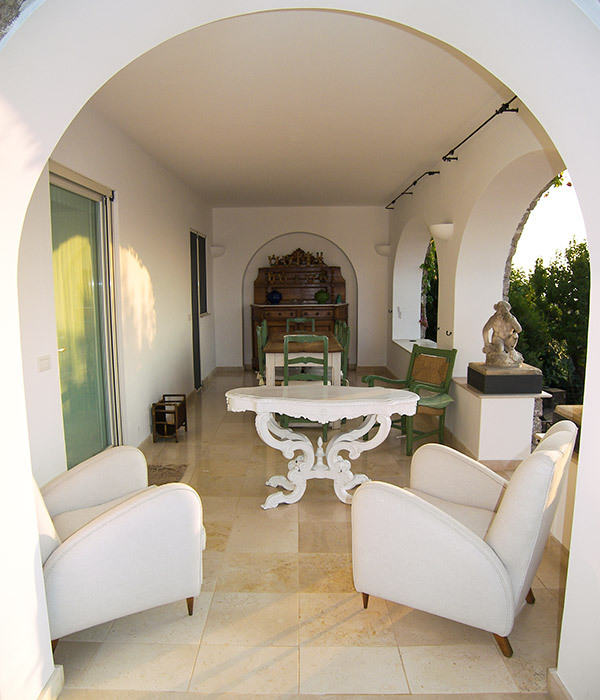 Also on the first floor, there's a sitting room with satellite television and a large terrace. 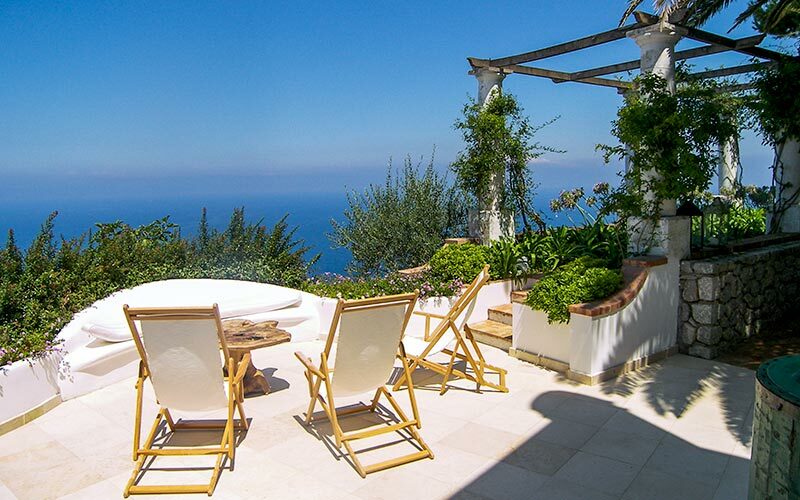 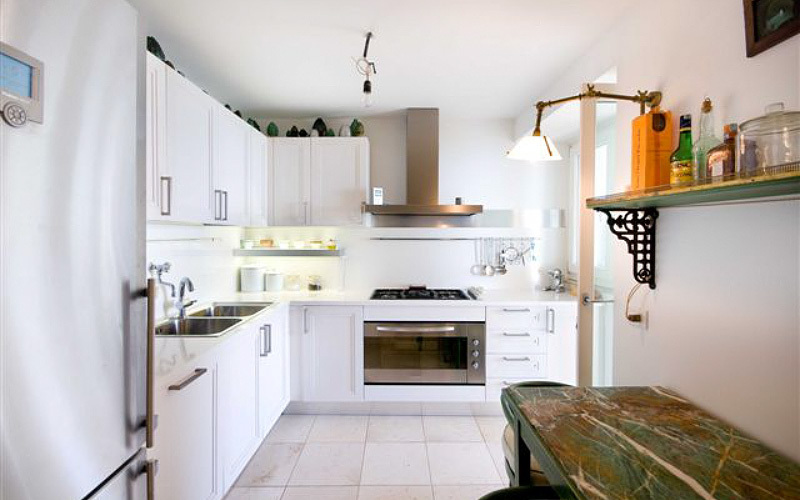 Villa Venere's kitchen has everything you might possibly need to prepare a light snack, a leisurely lunch or even a full blown banquet - to be enjoyed al fresco on the sea view terrace.